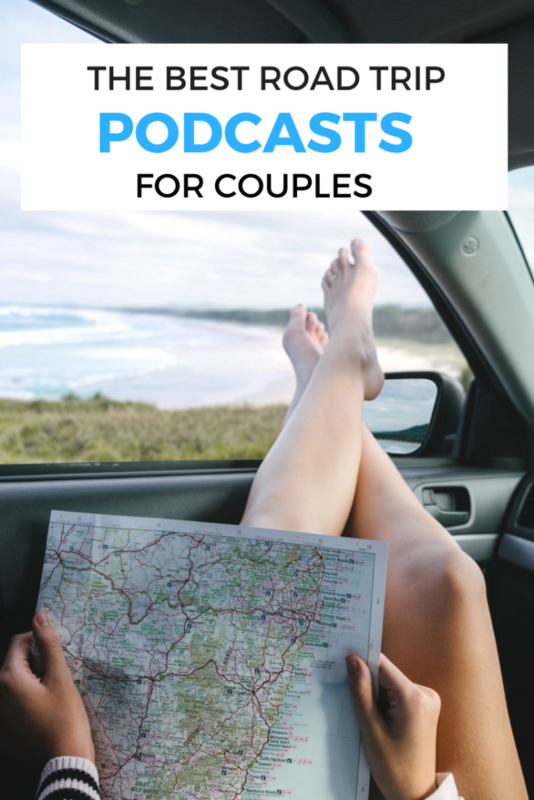 This post on podcasts for couples to listen to together has been a long time coming, so before I share my favorite podcasts for couples recommendations here’s a bit of context. Confession. I used to hate podcasts. I just didn’t get the fascination. Flash forward to today and I have a major obsession with podcasts. From health to blogging, I listen to a very eclectic mix. I listen while I’m driving, when I’m doing things around the house, when I’m getting ready, pretty much all the time. I love that I can be entertained and make boring tasks more fun. I especially love that I can learn new things all the time! I end most episodes feeling super inspired or having learned something new. 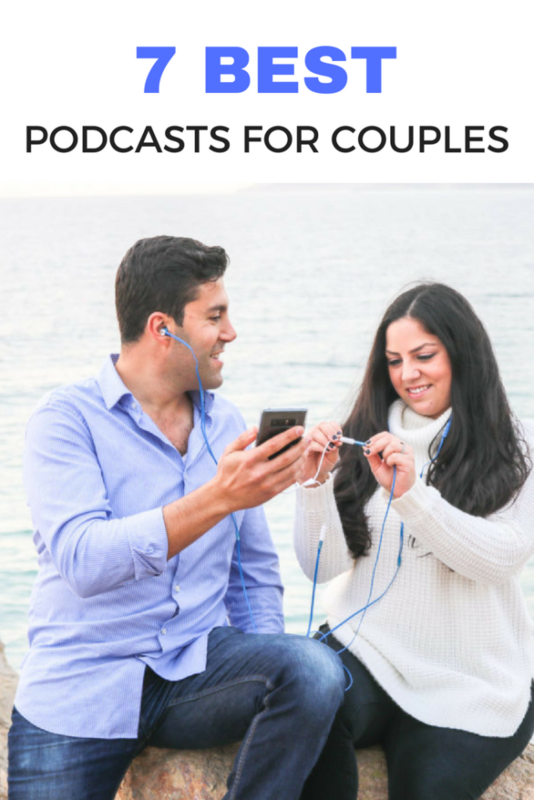 I really wanted to start listening to podcasts with Bassam because I felt it could improve our relationship. Bassam isn’t really a podcast guy, he’d much rather watch videos. After he became interested in listening to audio books on our road trips, he started being more willing to listen to podcasts during our shorter drives. At first it was kind of hard to find podcasts we would both like, but we finally found a few that interested both of us. It has been a really great way for us to learn new things together, try out new strategies together, and get inspiration to make ourselves better as a couple and as individuals. 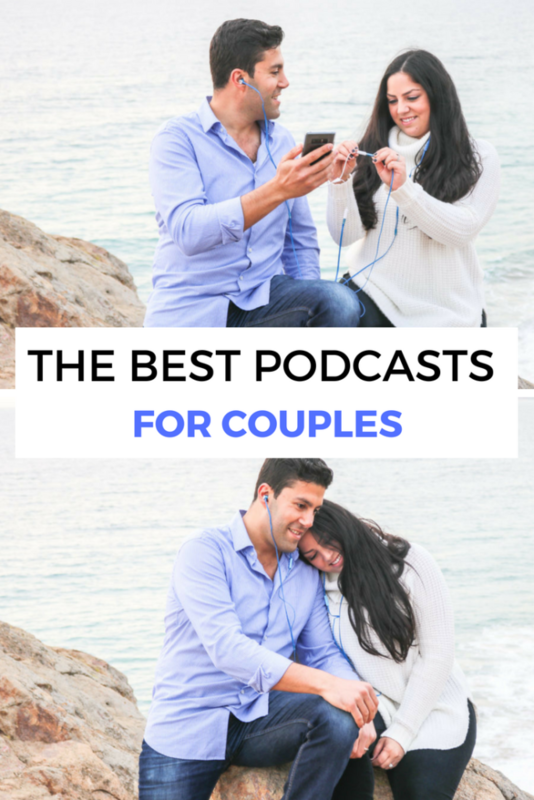 So that you can spare yourself the bickering over figuring out what podcast to listen to, here are a few that we both love and think would be good podcast recommendations for couples to listen to (or even for you to listen to by yourself!) 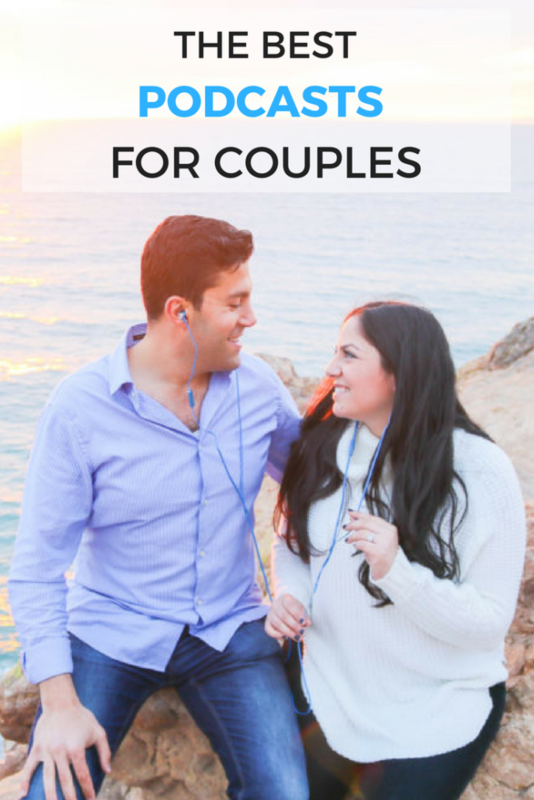 There are several podcasts recommendations for improving your relationship, but not all of them, because that’s just not always what we feel like listening to. We hope you’ll find some good ear candy here! 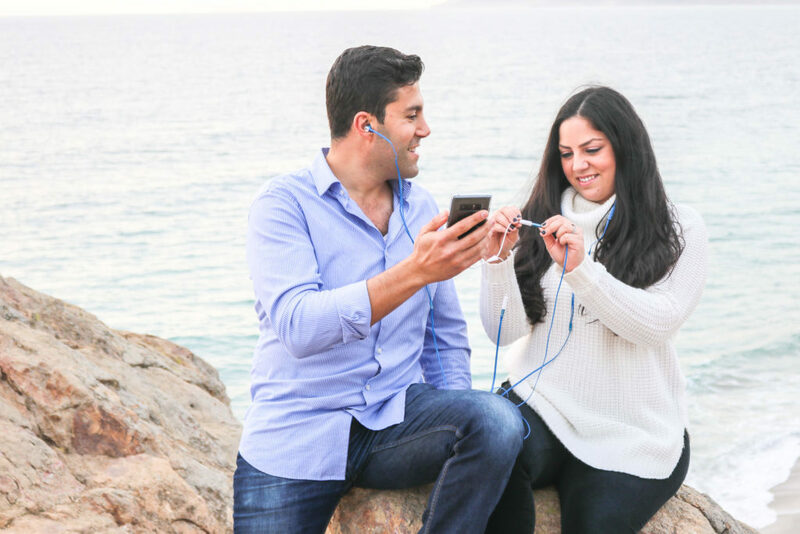 Relationship tip: listening to podcasts together helps open up a whole new world of conversations! We like to listen to one episode and then spend some time chatting about it. It’s interesting to see what different things we each take away from what we listened to. This is my absolute favorite relationship podcast and has changed my thinking so much. I actually listen to every episode on my own and then again with Bassam because I just can’t wait for us to listen to it together. It has inspired me to start a policy of “radical honesty” with Bassam and has helped me be a more loving and empathetic partner. It has also helped me to learn to love myself better. 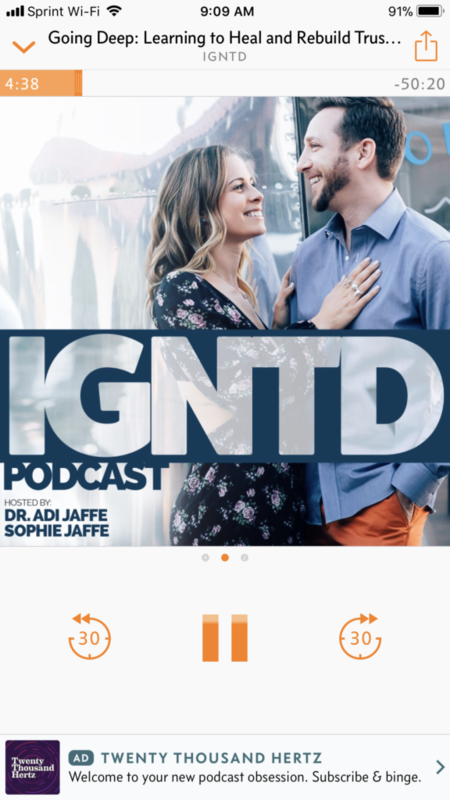 Presented by Sophie and Adi Jaffe, IGNTD dives into topics revolving around all relationships such as with yourself, food, money, your significant other, and more. They start each episode with a relationship tip and then bring on a great guest. It’s very conversational and not just straight up interview, which I really like. Sophie and Adi have been through A LOT to get to where they are now. They dive deep into their story with raw honesty and authenticity. They are truly an inspiring couple. 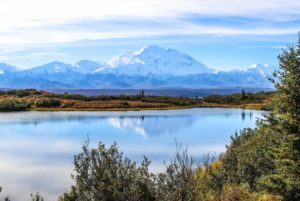 I think all couples, whether you agree with their all their viewpoints or not, can take away a lot of inspiration for their own relationships. Sophie has more of an earth mama vibe, while Adi comes from a very scientific perspective. 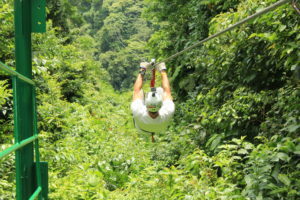 It’s a really nice balance and also perfect for couples who may be a bit different in that regard as well. I have taken away some sort of inspiration from every single one of the episodes. Note: this one can take some time to get into. Bassam didn’t really love the first few episodes, but he did love the later ones. I encourage you to start from the beginning so you can get to know Sophie and Adi, but just know that you may not get addicted right away. Sophie and Adi hit their groove and few episodes in and more there on out, every single one is amazing. It’s really worth sticking through so you can get to know the couple. I really cannot praise this podcast more highly and recommend it to everyone I know. This podcast is hosted by Rachel Hollis and her husband, Dave, as a spin off from Rachel’s podcast, RISE. I love the two of them together and always find that they provide valuable and actionable relationship advice. 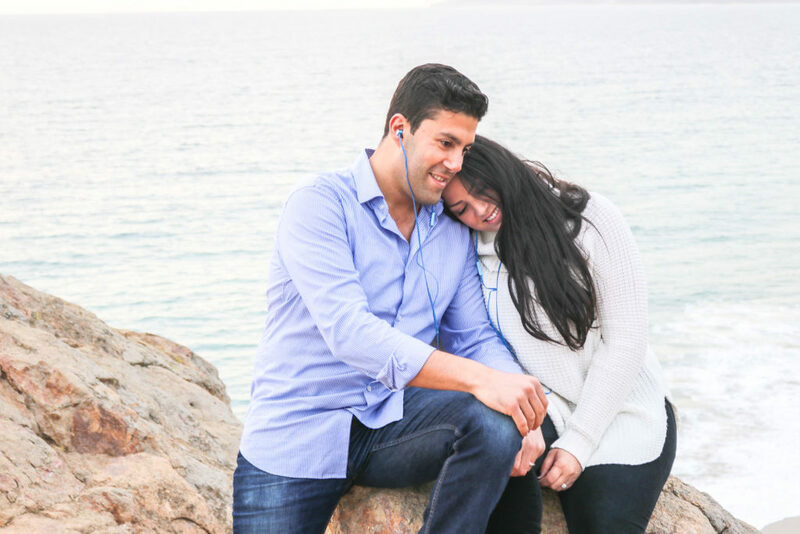 Rachel and Dave have 4 kids and several businesses, meaning they are BUSY, but they still find the time to prioritize their relationship. I always walk away inspired and know that if they can do it, we can do it too. Being busy is not an excuse to let your relationship go. None of the episodes are longer than an hour, which helps keeps Bassam’s attention. 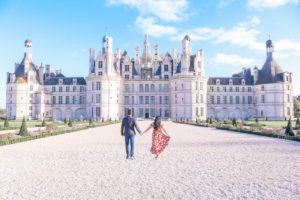 I also really like the podcast episode titled “5 Tips to Help Keep Your Marriage Spark Alive” on Rachel’s podcast RISE, if you work your way through all the RISE together episodes and want more. Brooke and Wilhem are new to the podcast game, but with only three episodes in (at time of post publish) they are already killing it! 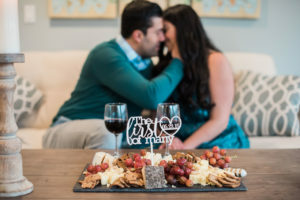 Their motto is that any couple can be a power couple and being a power couple is all about bringing out the best in each other. They have great voices, sizzling chemistry, and lots of inspiring thoughts to share. They bring on some great guests and do a fantastic job of interviewing them. This is definitely a podcast on the rise! I listen to a lot of self improvement podcasts, but this is my favorite one and the only one Bassam really got into. 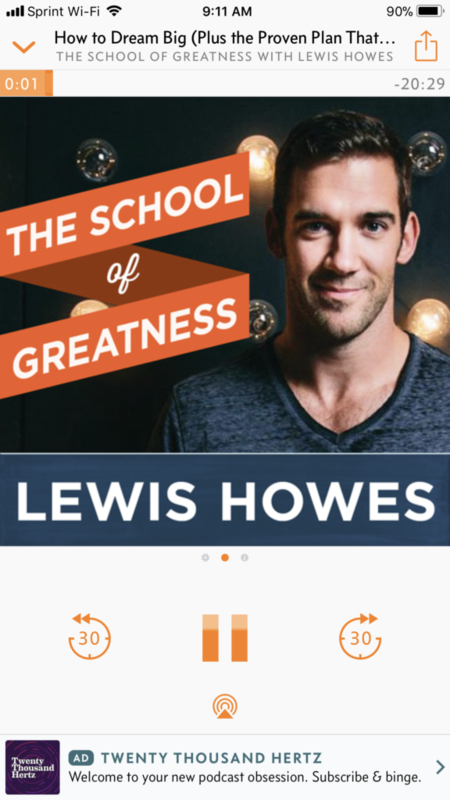 Former pro athlete turned lifestyle author and entrpenour, Lewis Howes, does a fantastic job of bringing on a variety of guests and asking them very specific questions. We always get a lot of inspiration out of each of the episodes we’ve listened to. 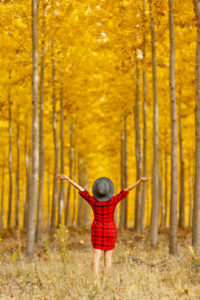 The topics range from health to business, so you’re sure to find episodes both of you will enjoy. If you’re looking for a relationship focused episode, we loved this one: Marriage Secrets from a Divorce Lawyer with James Sexton (posted on April 10, 2018). Both Bassam and I love entrepreneurship (I know you’re surprised) and love learning about how businesses grew their success. 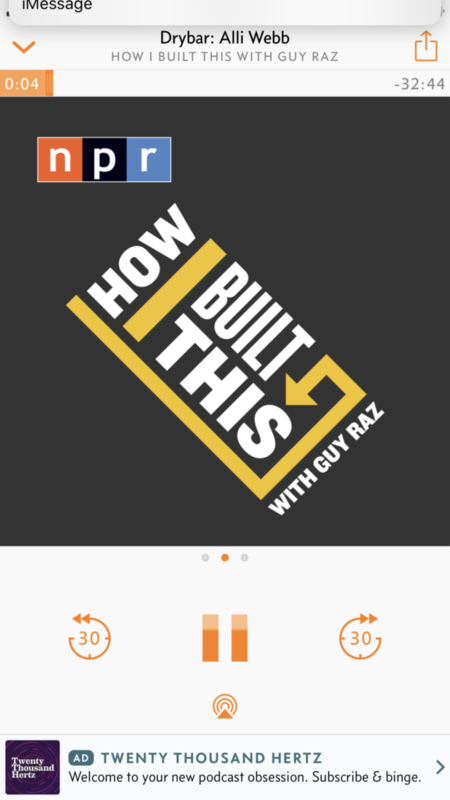 If you like watching shows like Shark Tank or The Profit, you may also like listening to How I Built This. Each week, the host, Guy Raz, interviews entruepneors who brought us well known companies like Whole Foods, Lululemon, Chipotle, Dyson, and more! 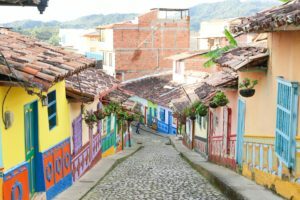 It’s always very inspiring and we love learning the story behind some of our favorite companies. As a behavior analyst, I always love geeking out over learning more about human behavior. I’ve recently learned that Bassam has a big interest in psychology and learning about human behavior too. 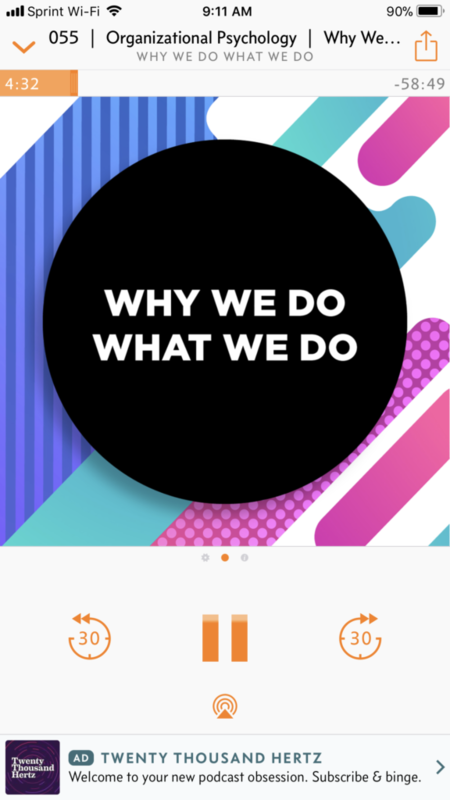 Why We Do What We Do is a podcast hosted by a behavior analyst and each episode dives into a topic about human behavior such as, why do we hoard, why don’t we remember things, how do we create a habit? The podcast is very approachable and they keep heavy topics light. 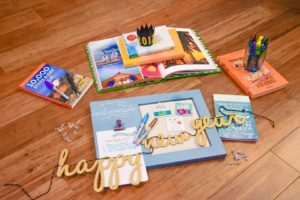 This is a great one for any couples who have interest in learning more about, well, why people do what they do! 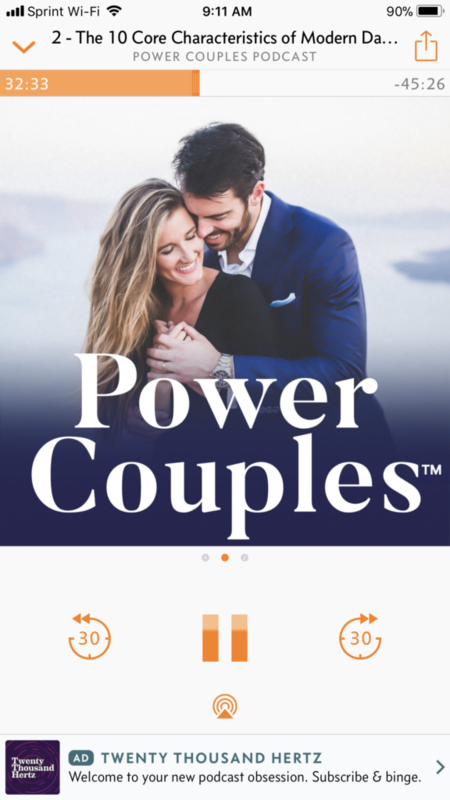 This is a great podcast for those couples who can’t find a podcast they both love. There are soooo many different types of episodes and topics, you are sure to find a topic that interests you both. 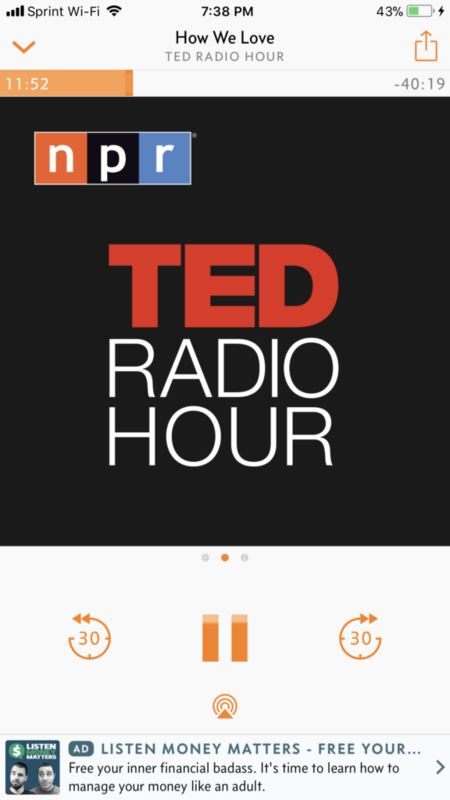 Each episode blends together a TED talk and interviews. Sometimes there is a common theme and multiple guests, while other times there is just one guest. It’s always very well produced, insightful, and will give you a lot to think about. 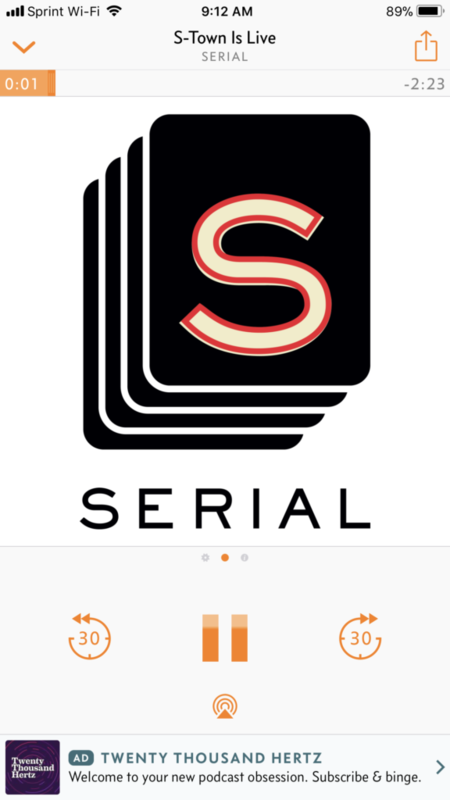 Serial is the very first podcast we started with! We were hooked on the “mystery” aspect. We’ve since been more interested in more educational type podcasts, but any podcasts produced by This American Life are fantastic and highly recommended!